Tuberous sclerosis is characterised by the development of non-cancerous (benign) tumours that can develop on different parts of the body. The most commonly affected areas are the brain, skin, kidneys, heart, eyes and lungs (Northrup et al 2013). Classically it presents with skin changes and the development of epilepsy before the age of five. Tuberous sclerosis is a rare genetic condition. It is caused by mutations in either the TSC1 or TSC2 gene (DiMario et al 2015). In about three quarters of cases the genetic mutation occurs for no apparent reason, where there are no other family members affected. In the remaining quarter of cases the cause is hereditary, with only one parent needing to carry the faulty gene. For a parent carrying the faulty gene there is a one in two chance of passing it on to each child they have. This parent will have tuberous sclerosis, but their symptoms and condition may be so mild that it has not been detected. People with tuberous sclerosis can present with a variety of cognitive and behavioural challenges. It is associated with developmental delays and learning disabilities, self-injury or aggression, or issues with social and emotional adjustment. Illnesses, such as depression, autism spectrum disorder or attention deficit hyperactivity disorder, may also occur. Visual difficulties, such as retinal tumours. 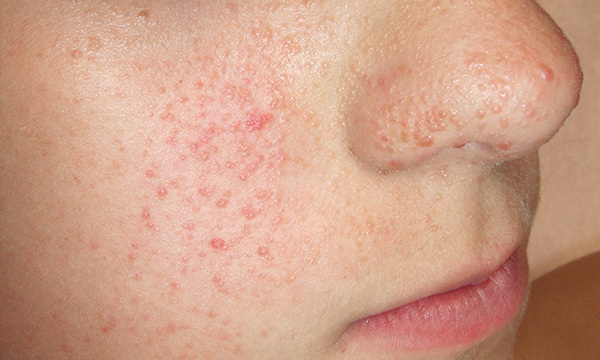 Skin lesions, such as patches of light-coloured or thickened skin, or red acne-like spots on the face. Breathing difficulties and a buildup of fluid on the brain (hydrocephalus). Clinical features of tuberous sclerosis are used as a means of diagnosis. It can also be diagnosed by genetic testing and the use of magnetic resonance imaging of the brain, a computerised tomography scan of the head, an electrocardiogram, an echocardiogram, kidney ultrasound, eye examination and the assessment of skin using a Wood’s lamp, which emits ultraviolet light (Northrup et al 2013). These should be used alongside a full clinical examination. Laser therapy or medication for skin lesions. Medication to help with kidney dysfunction and shrinking of kidney tumours. Ongoing support and regular health monitoring will be required, with input from a multidisciplinary team to ensure health and social care needs are met. Alice is an only child. Her prenatal history is reported to have been normal and she was delivered by caesarean section due to a large head circumference. At around the age of seven months she started to experience infantile spasms and seizures. Following investigation using electroencephalographic and computerised axial tomography she was diagnosed with tuberous sclerosis at eight months. From these investigations there was evidence of intracranial calcifications, enlarged ventricles and cerebral atrophy. There was a prognosis of severe to profound learning disability, and ongoing developmental stage testing showed global developmental delay. Over the past three years Alice has experienced several complex and serious physical health issues, including pneumonia, kidney infections and sepsis, that have required her to be admitted to hospital for treatment. Alice has difficulty in maintaining attention and settling at night, and displays self-injurious behaviour by slapping the side of her head. To manage her epilepsy, she has been prescribed anticonvulsants that provide some therapeutic effect, although she has an average of one seizure per day. A variety of educational and therapeutic programmes are being put in place for Alice by a multidisciplinary team that includes speech-language therapy, physiotherapy, sensory-integration therapy, an adapted nursery school programme and a positive behaviour management plan.